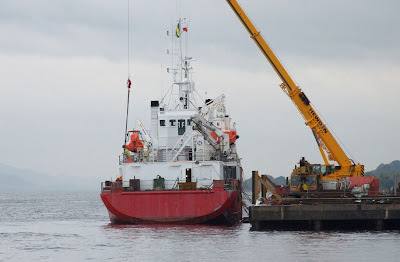 Two views showing the progress being made with the conversion of the former rig supply vessel AMILCAR, as she takes on her new appearance as a standby and rescue vessel. Two new rescue craft have been fitted, the one on the starboard side looking like a slightly smaller version of the Delta ARRCs used by BP in the North Sea. 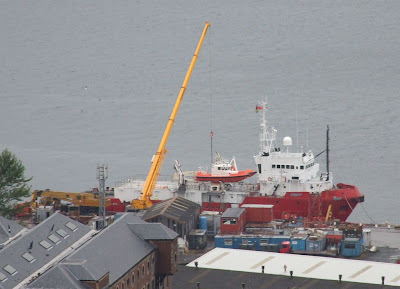 Her new port of registry, Aberdeen, has been added to her bulwarks aft below the new name.